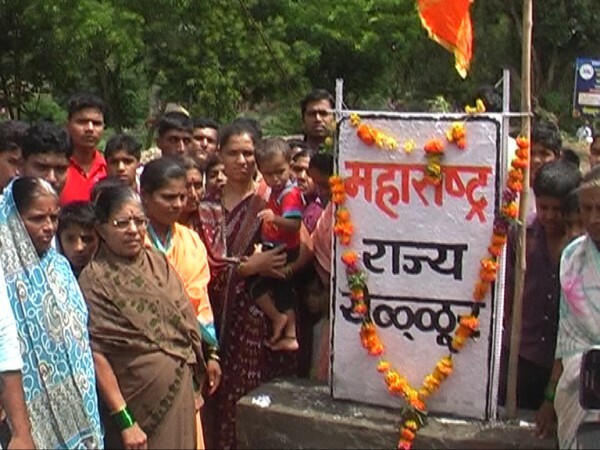 On Saturday, Marathi-speaking people re-installed the signboard at the entrance of Yellur village in Belgaum taluk, It indicates that the village is in Maharashtra a day after it was removed. However the police removed the same on Sunday morning by using earth moving equipment. Police also lathi charged in yellur and many persons were injured in the lathi charge. Heavy police deployment is there in the village currently. DC N Jayram has issued prohibitory orders in Yellur, Some areas of Belgaum, Khanapur and Nippani. The situation is under control, the police said. More than 10 persons were reportedly injured, who were shifted to the district government hospital. The police also picked up around 8 to 10 miscreants and brought the situation under control. There have also been reports of stone pelting on some media persons. Hemant Nimbalkar has been called from Bangalore and he would be visiting the village any time now. where is human rights people?? ?